Thinking About a New Bathroom for 2019? Is a new bathroom on your 2019 shopping list? How about a wet-room, changing room or even an invigorating power shower? 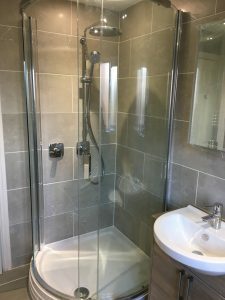 One of the specialist services Moreheat Ltd. can provide for Torbay, south Devon and Exeter residents and businesses is bathroom installation. 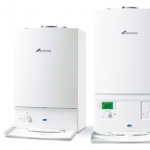 Unlike many of our competitors, we don’t restrict ourselves to the underlying plumbing and heating systems in a bathroom installation. As many homeowners will have experienced, co-ordinating the various tradespeople involved in a home improvements project can be frustrating with the different trades only taking ownership of their own work. Of course, if you prefer to use your own tradespeople for one or more stages of the project, we are happy to accommodate that. We can design and install high-end bathrooms as well as those at the budget end of the scale. We can also cater for any special requirements such as disabled access bathrooms and eco-friendly systems. 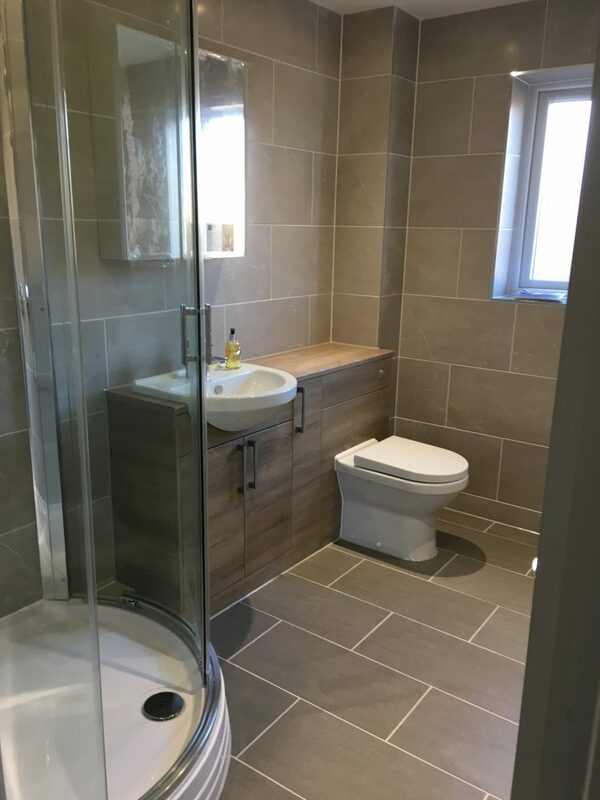 We can also carry out repairs, upgrades or alterations to existing bathrooms. What are the Bathroom Design Trends for 2019? If you are unsure how you want your bathroom to look, it is worth looking at the latest design trends, especially if you are planning to sell your property in the next few years. For some time, bathroom design has prioritised clean, hard lines; crisp whites, marble stonework and plenty of brass and chrome. According to articles in The Telegraph and interior design magazines, the trend for 2019 may be shifting slightly towards softer, more luxurious design principles. Examples include the introduction of off-white and pastel colours; inclusion of natural materials such as wood, stone, wicker and living plants and softer, more flowing lines. Touches of luxury such as black matt taps and pale gold fittings are also likely to make their appearance, particularly in high end bathrooms. Nevertheless, the utilitarian style is still popular, particularly in commercial properties, and we can design bathrooms to fit either preference. Technology is also likely to play an increasingly popular part in 2019 bathrooms with hands-free, heated toilets, coloured lighting and remote control operation just some examples of what bathroom designers are being asked to include. If you are interested in underfloor heating, heated towel rails and other luxuries, we can use our expertise in plumbing and heating to bring those dreams into reality. We can also install SmartStat technology which enables automated control of heating, helping to create a comfortable environment while reducing energy costs. For specific advice on bathroom planning and design, please give us a call to arrange a consultation. 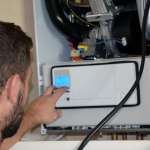 Moreheat Ltd. have been serving the residents and businesses of Torbay and south Devon for more than 20 years and have now expanded into Exeter. Throughout that time, we have established a proud reputation for quality workmanship and customer service. We are a Gas Safe registered company and are also OFTEC certified. You and your family can rest assured that all work will be completed safely and be compliant with the latest industry and government regulations. 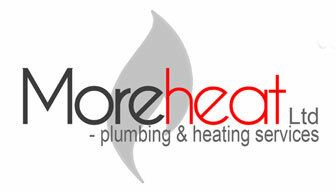 https://more-heat.com/wp-content/uploads/2017/12/Plumbers-in-Torquay-e1512137644841.jpeg 4032 3024 Moreheat Ltd http://more-heat.com/wp-content/uploads/2017/06/Moreheat-Plumbing-Heating-Services-Ltd.jpg Moreheat Ltd2019-01-25 12:05:232019-01-25 12:06:06Thinking About a New Bathroom for 2019?